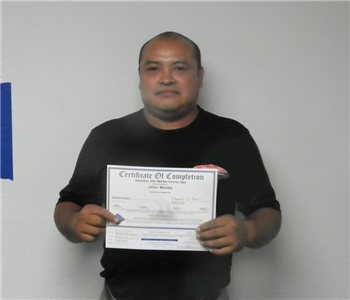 In November 2012, Antonio Saldana came on board at SERVPRO of Yorba Linda/Brea, and brought with him a great attitude and years of experience in both asbestos removal and the construction industry. Removing asbestos is not always as easy as “scraping the ceilings," as technicians often have to implement a procedure that will prevent contamination and use special tactics and equipment during an asbestos project. However rigorous and time consuming the procedure might be, Antonio enjoys it because it affords him the opportunity to make families feel safe and secure in their homes. 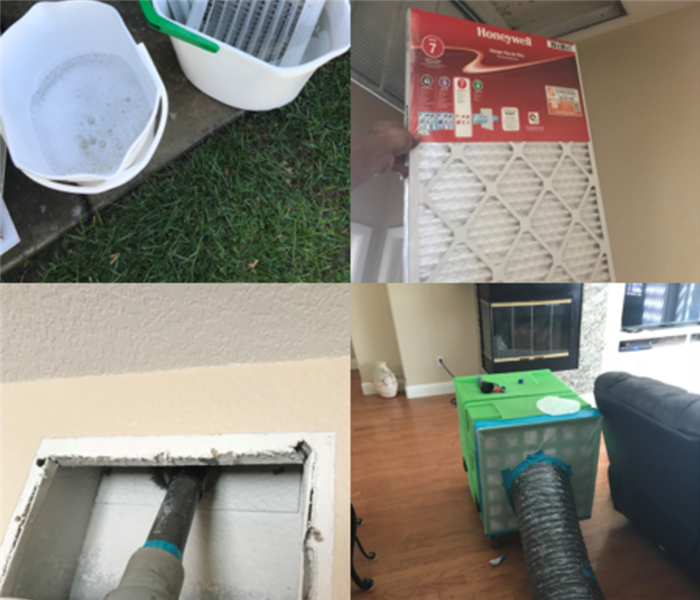 Antonio’s favorite part of working at SERVPRO of Yorba Linda/Brea is taking responsibility for home repair projects and finishing them in a timely manner so that families can get back to their regular routine. When Antonio is away from his job, he enjoys spending time with his family, watching soccer, going to Disneyland, and camping near a lake in the local mountains. 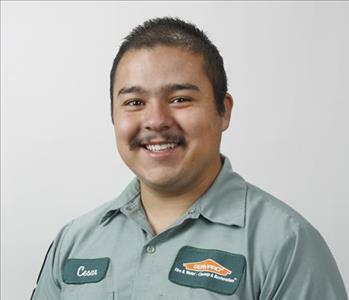 Cesar Arcila was welcomed into the SERVPRO of Yorba Linda/Brea family in March 2012. An excellent customer service representative, he identifies and helps resolve any and all customer concerns. 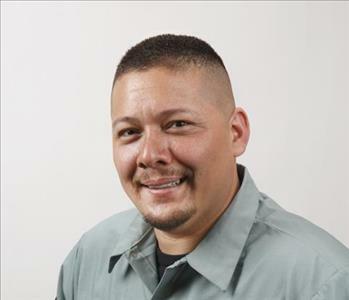 Because our customer's needs vary so greatly—from smoke damage to sewage backups—this takes a lot of knowledge and practice, and Cesar has made sure that he knows our business from top to bottom. He excels in his role because he enjoys listening to the client's needs and addressing each concern individually. He knows that no two problems or solutions are the same, so he really strives to tailor each action plan to a customer’s specific needs. Cesar really enjoys planning customer service projects that will generate high client satisfaction. When he’s away from his phone, Cesar likes to serve others by doing missionary work both locally and throughout the world. He has seen how very blessed we are here in Orange County, and strives to help others who are in need. 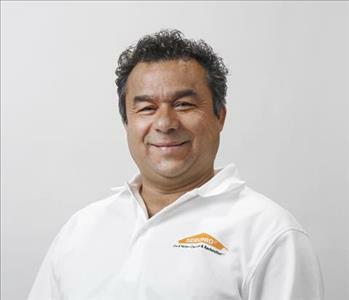 Edgardo Arcila has been an essential part of SERVPRO of Yorba Linda/Brea since our doors opened in 2005. With over nine years in the water restoration industry, Edgardo has learned multiple techniques for performing water, mold and fire cleanup in the most efficient and timely manner. His favorite aspect of the job is meeting new people every day and being able to assist in their time of need. With over 25 years of experience as a mechanical engineer, he troubleshoots and maintains our specialty equipment so our pieces of equipment are always in great condition. Edgardo has been happily married for thirty years and enjoys spending time with his wife, three sons, one daughter and one granddaughter. While on his personal time, he enjoys camping, fishing, hunting and playing sports. 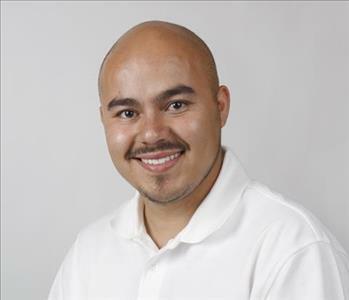 Since October 2013, Jose Melgar has been part of the SERVPRO of Yorba Linda/Brea team. He brings with him over 8 years of experience in the water restoration industry. As one of our trusted technicians, he is personable, analytical, and responds quickly when presented with unforeseen hiccups in the restoration process. Some of Jose’s on-the-job experiences include setting up drying equipment, taking accurate moisture readings, and filling out paperwork in a timely and accurate manner. 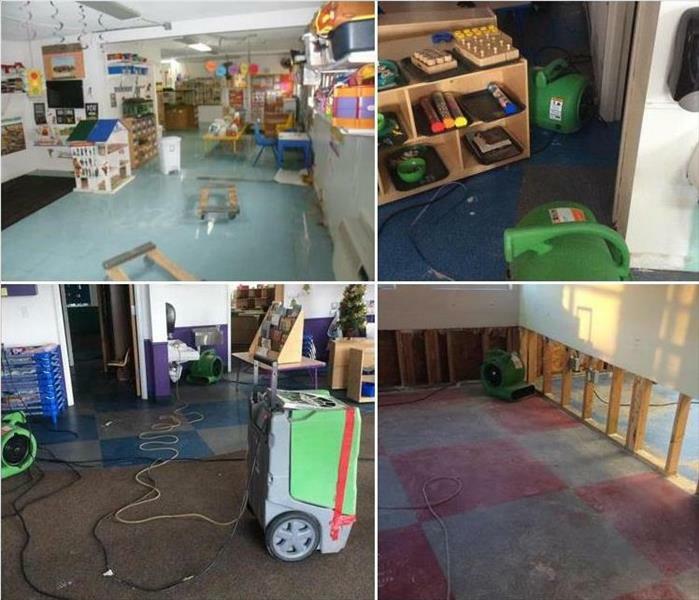 All of these are important because if they are not done correctly, the restoration process will be delayed. 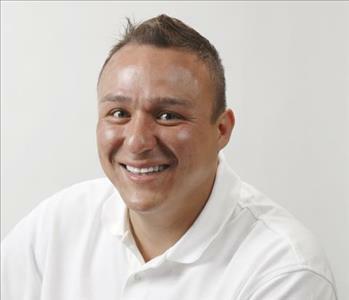 Jose enjoys using his knowledge and experience to help homeowners navigate through a very stressful and oftentimes frustrating period of their life. When he’s not assisting in catastrophes, you’ll find him spending time with his 6 kids in the great outdoors, camping or playing sports, or at his favorite vacation spot in Denver, Colorado. Since October of 2012, Maria Reyes has been a vital part of SERVPRO Yorba Linda/Brea’s team. 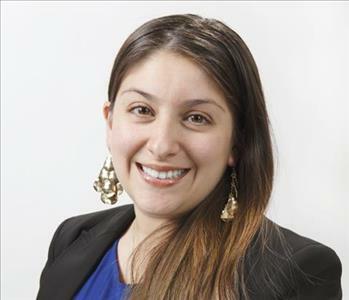 As self-proclaimed “people person," she loves her job as a customer service representative because it offers her the opportunity to put her good communication skills to use and help clients in crisis. Maria feels most accomplished at her job when customer satisfaction is high because this means that the communication between SERVPRO Yorba Linda/Brea and her valued customers has been thorough and effective. Maria enjoys working with the staff at SERVPRO Brea/Yorba Linda because they are dedicated, hard working, and make the SERVPRO office feel more like a family room than a work environment. When she’s not providing excellent customer service or helping one of her co-workers with a task, Maria takes advantage of spending quality time with her daughter and family. Her favorite activities are all-American classics—going to the park or staying in for a movie night, complete with popcorn, candy. 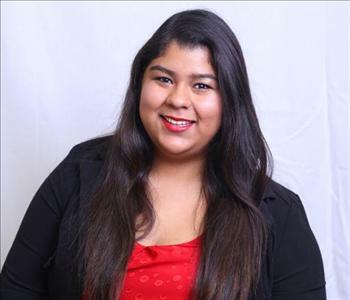 Karina Arcila has been a crucial addition to the SERVPRO of Yorba Linda/Brea administrative team since June 2014. She enjoys providing excellent customer service and assisting customers in need after a crisis in their home or business. 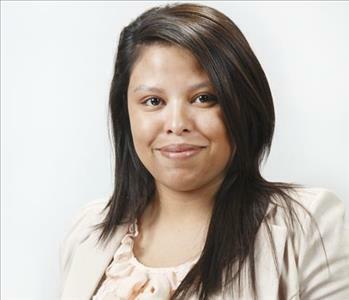 Being a part of a highly communicative team, Karina is eager to enhance her administrative skills every day with SERVPRO’s continuous coaching and training. She understands providing great customer care when they need us most is essential and truly enjoys easing the process during a mishap. When Karina is not tending to customer needs, she is spending quality time with her favorite person in the world, her beautiful niece Bella. She enjoys camping and playing with her boxer, Chata. 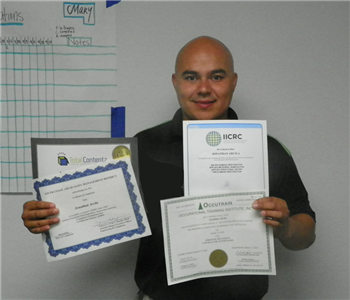 One of your SERVPRO of Yorba Linda/ Brea heroes, here's Jonathan Arcila, receiving several important new training credentials from SCAQMD, IICRC and Occupational Training Institute. One thing that Jonathan prides himself in is the extra mile he is known to go to provide the best in customer service. Way to go Jonathan, all that new knowledge will be important to our customers! Thanks for all you do! When not giving his all for SERVPRO customers, you can often catch Jonathan playing soccer. Edgardo Arcila is our facilities manager. Here he is receiving his training credentials from Certify Me Online and Occutrain. Edgardo is an important part of the total customer experience each and every one of our customers receives. Another of our weekend athletes, Edgardo enjoys extreme sports like bull riding. He also enjoys camping and plays soccer. 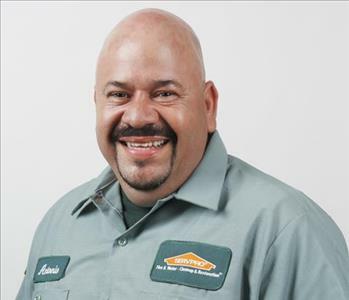 Meet another of our SERVPRO of Yorba Linda/ Brea "Heroes"; Jaime Mendez! 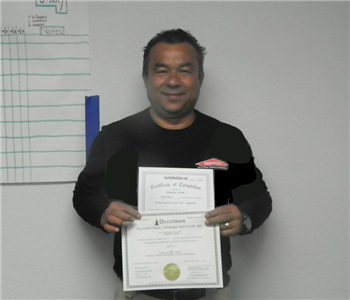 In this photo, Jaime has just received his training credential from the National Association of Training and Environmental Consulting. Earning credentials like these is part of the responsibility and training of every one of our employees. We know it makes them even better at what they're doing for our customers. Privately, Jaime is an avid outdoorsman. He enjoys fishing, and recently caught a leopard shark. He also likes diving. One of our SERVPRO Yorba Linda/ Brea "heroes", Chris Trejo is a talented, hard working, and customer-focused restoration expert. Here he is receiving training credentials from IICRC and Occutrain. Like the rest of his colleagues at SERVPRO of Yorba Linda/ Brea, regular training updates are just one more way Chris follows through on his commitment to you, our customers. In his private time, Gilbert plays on a soccer team and he also enjoys reading.